For those of you who are able to drift off into uninterrupted sleep for the duration of the night, I am very envious. Sleep has never been my forte, but not through lack of trying or willing it to happen. I have always accredited this to having an overly active brain and the pattern of my sleep goes pretty much like this: I wake up from a light sleep in the early hours, processing a multitude of thoughts and then drift in and out of sleep for the remainder of the night. Generally it is thought that around seven hours of sleep is sufficient to keep our minds and bodies in tip-top condition, with substantial benefits including a longer and healthier lifespan, improved learning skills, better performance, feeling refreshed and energised, improved metabolism, and a younger looking complexion. Wow! 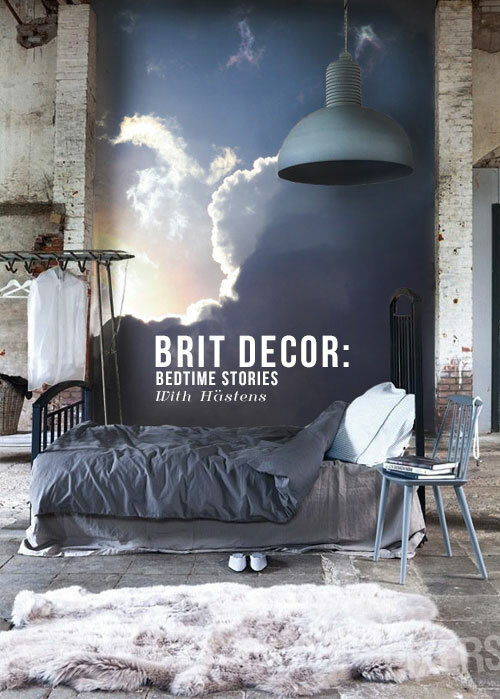 It may sound obvious but it's easy to take for granted the amount of light that can actually spill into our bedrooms, even at night. Excess light prompts certain processes within the body, which in effect tells us to wake up. 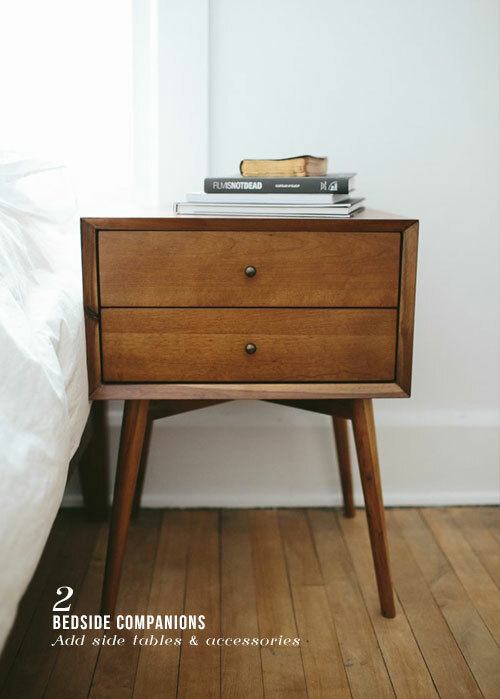 Invest in bedside furniture, ideally on both sides of the bed to create symmetry and balance in the room. Avoid watching TV and looking at tablets, smartphones etc just before bedtime. Screen use keeps the brain active and awake. To make the space extra personal, choose a colour that you love. 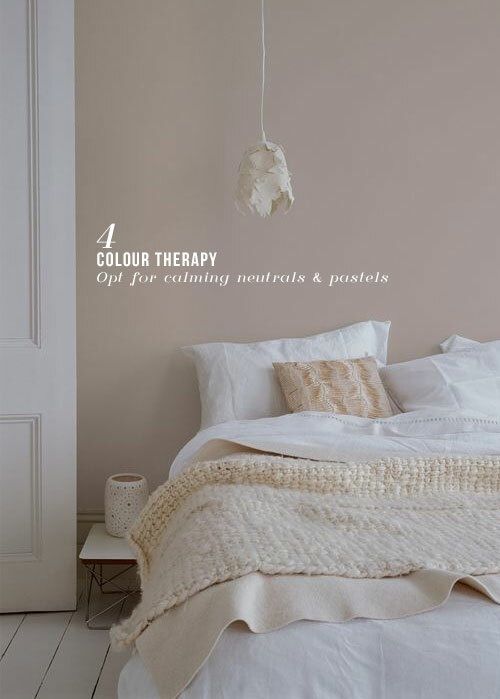 If relaxation is your key aim, look at cooler and paler colours, and neutrals. Alternatively, warmer browns, oranges and reds can create cosy feel. 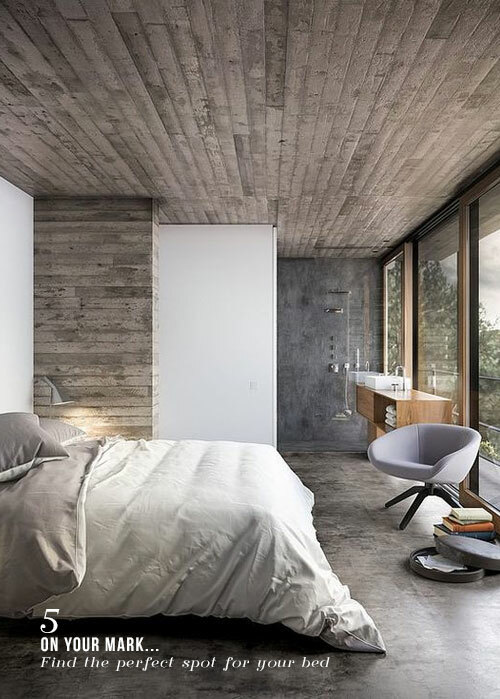 Look at your floorpan, if necessary draw a basic plan of the room and see where the bed can be positioned to maximise the layout. 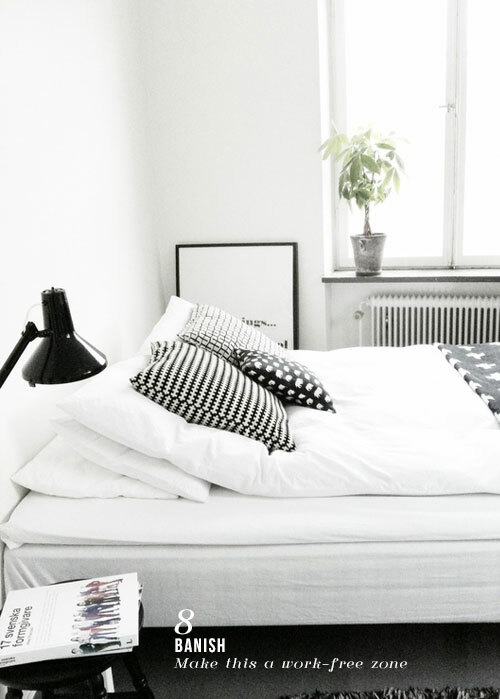 Try to place the bed away from a door and with headboard placed up against a wall - for a sense of stability. I always work on the idea that a cluttered room can create a cluttered mind. Clear away any unnecessary items, particularly from the bed itself. Worn clothes are frequently offending items of clutter, so a good laundry bag is always a great idea. 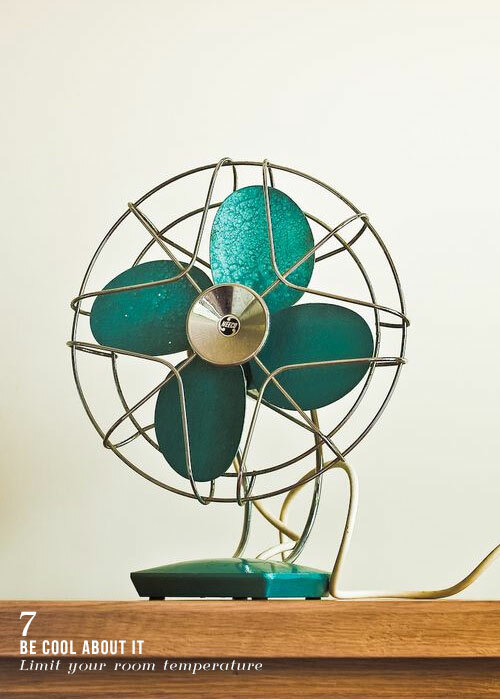 The experts say that a temperature of between 14oc and 18oc is best for our bedrooms. Too much heat prevents the body from relaxing. 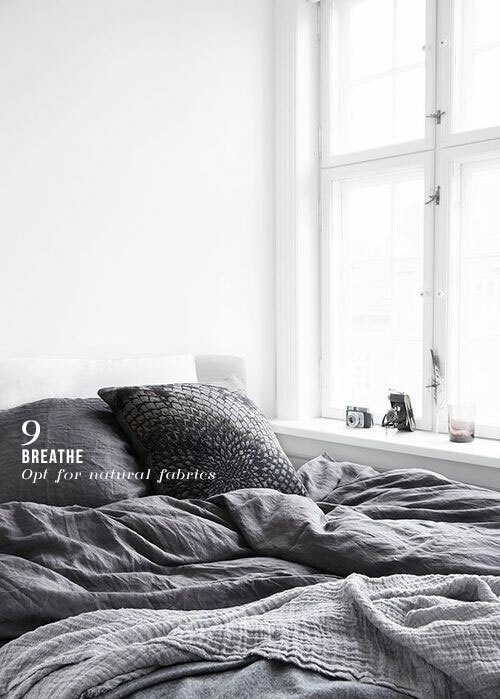 Bedrooms should be a place of relaxation, so try not to use these as an office. Leave work at the bedroom door and allow your mind to switch off from the day's stresses. Source bedlinen that will help to isolate heat and moisture to prevent a restless night's sleep. Natural fabrics and linen can work wonders! 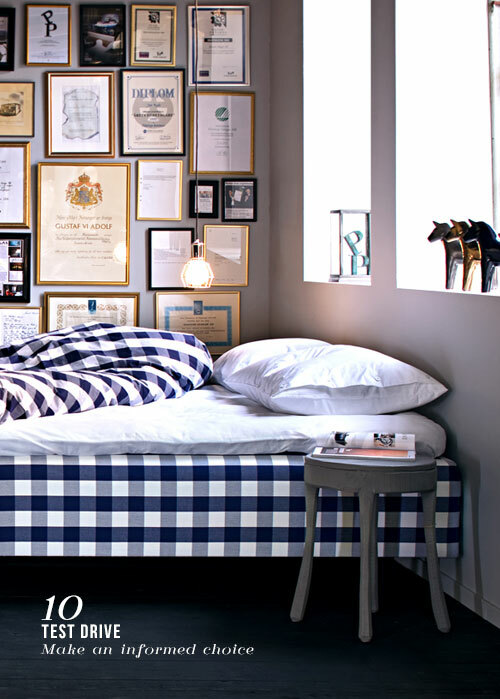 When buying a new bed, be sure to explore the multitude of models on offer because the overall quality of your sleep will depend upon your choice of bed. You need to be confident that you have made the right choice. 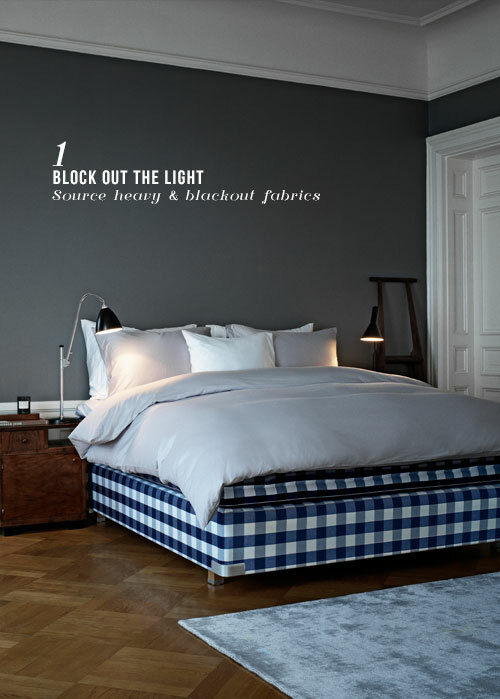 You can find out more about Hästens and their range of beds over at their website by clicking here.